Fig. 55 ATP . The structure of ATP, ADP and AMP. ATP can be formed during CELLULAR RESPIRATION, either in the general cytoplasm during GLYCOLYSIS or in the MITOCHONDRIA via the KREBS CYCLE and the ELECTRON TRANSPORT SYSTEM if oxygen is present. ATP is also formed during photosynthesis in the CHLOROPLASTS of green plants, again using an electron transport system. ATP molecules act therefore as short-term ‘biological batteries’, retaining energy until required for such processes as active transport, synthesis of new materials, nerve transmission, and muscle contraction. An active cell requires more than two million molecules of ATP per second to drive its biochemical machinery. The porous properties of the ATP@Fe2O3 composite and ATP clay are summarized in Table-1, including the specific surface area, t-method pore volume, total pore volume, and pore diameter. Emirates will also become the presenting sponsor of the ATP World Tour No 1 trophy ceremonies and the ATP Newcomer of the Year award, presented annually at the Barclays ATP World Tour Finals. com and ATP World Tour Uncovered presented by Rio, the Tour's weekly magazine-style television show broadcast in more than 150 countries worldwide. The supernatant of the 2nd centrifugation was transferred to a new tube and used for ATP and hemoglobin measurements. These chapters, however, will give all readers a feel for the complexity of source code and data structures that are required to implement an ATP system in an imperative programming language such as C.
Subsequent research has fleshed out this aspect of ATP function in considerable detail. When oxygen is delivered to the mitochondria (the cell's powerhouse) of exercising muscles in sufficient quantity, one glucose unit from glycogen undergoes complete breakdown to regenerate as many as 39 ATP molecules. For more information about ATP Oil & Gas Corporation, visit www. The five-year deal makes Emirates an official platinum partner of the ATP World Tour, as well as the season-ending Barclays ATP World Tour Finals, through 2017. 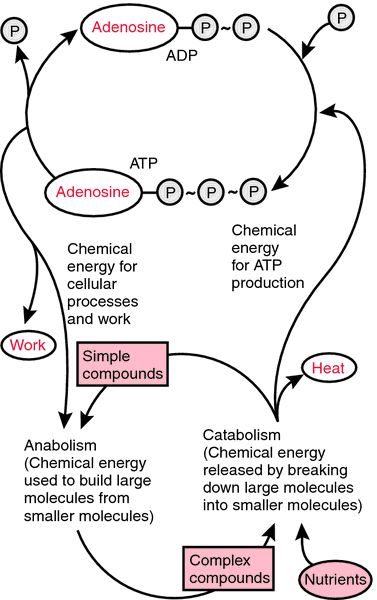 With amazing efficiency, cells synthesize and store energy in the form of adenosine triphosphate, ATP for short. The actions of both pPfTx and ATP to induce c-fos luciferase were inhibited by the purinogenic receptor antagonist pyridoxalphosphate-6-azophenyl-2', 4'-disulfonic acid (PPADS). The ATP has unveiled an ad campaign to familiarize the public with ``the young players currently invigorating the men's game.